This recipe has a weird origin. It came from…wait for it….tasty aeroplane food. Can you believe it? On the flight to Melbourne I was served a little tray of chicken curry and thought “Here comes the cardboard”. Sorry Qantas, I was wrong! It was a little tray of Indian tastiness. “Chicken Kasundi with herbed rice”. I’ve tried looking it up on the Qantas food reviews sites bit can’t see it anywhere. So I’ve trolled the internet for kasundi recipes and here is the culmination of my research. Please do not let the source of my inspiration put you off – kasundi is beautiful. It was a new combination of flavours for me. I hope you enjoy my version as much as I enjoyed creating it! 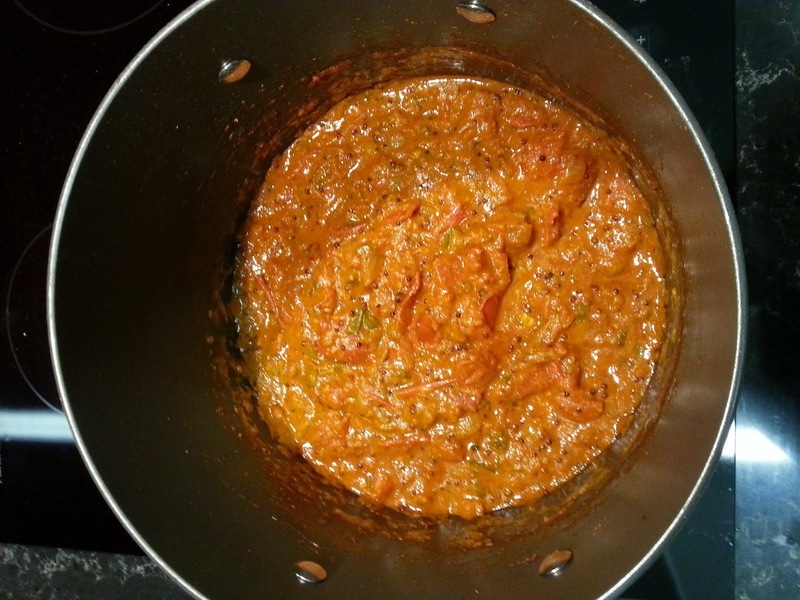 As it turns out, kasundi is not a curry after all, it is a spicy tomato relish! Recipes vary quite a lot, but it has a unique depth of flavours which work. While you cook it the aromas fill your house. Once it is finished and bottled, you will find a myriad of uses. 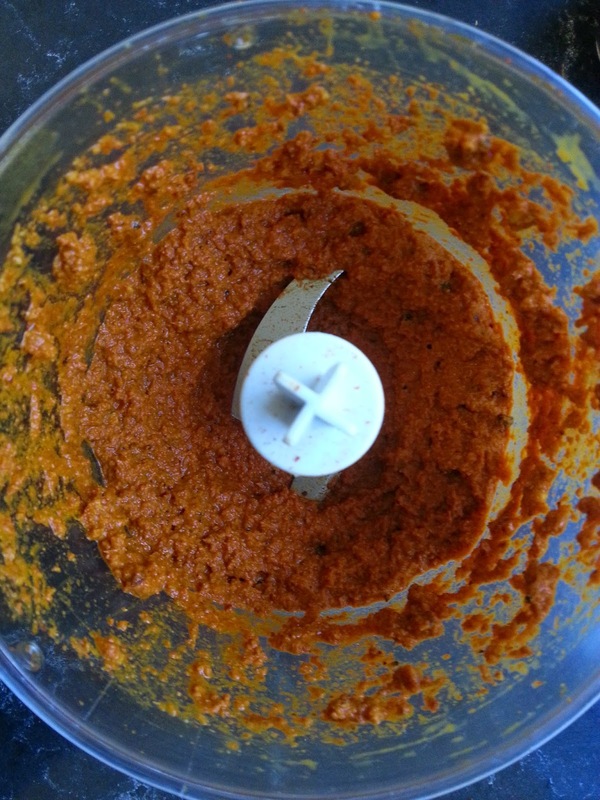 My guess as to how it was used in “kasundi curry with herbed rice” is that a combination of the kasundi spices could be combined with water or oil to make a curry paste, and that tomatoes and a few tablespoons of kasundi were probably added to make the curry sauce (I may try this in the next few weeks). It can be used to take a butter chicken to a new level, can be used as a condiment on meat such as steak, stirred through or on scrambled eggs, on a savoury mince, as a component of a cheese platter, as a sauce in a burger/sandwich /wrap…there are so many ways, please let me know of any I haven’t thought of. This relish is nomworthy. It requires a long cooking time but despite that is easy to make and so well worth it because of its wonderful flavour. Also – I recently went to a cafe which was selling this for $15 a jar. Its so much easier and more economical to just make at home! Plus you will feel all spesh. 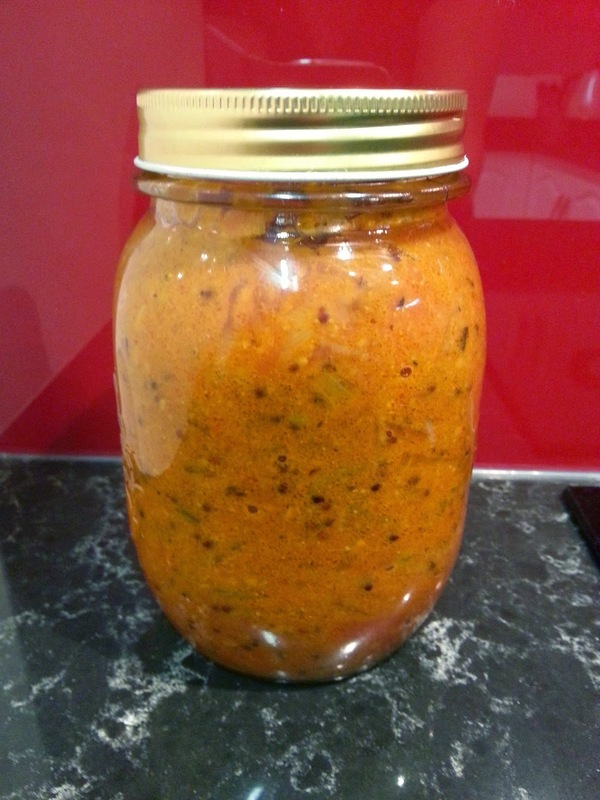 Blitz ginger, garlic, turmeric, paprika, cumin, coriander seed, chilli powder and peppercorns and 1 tbs of the malt vinegar in a food processor to make a smooth paste. Brown the onion and green chillis in a large pot with a little oil. Once transparent, add the mustard seeds. Cook until they begin to pop, then add the paste. Add the remaining ingredients (tomatoes, remainder of the oil, brown sugar, remainder of the malt vinegar, salt). Cook uncovered on low heat for approximately an hour, stirring occasionally. Bottle in jars. I don’t do proper canning, but if you do then this would be a great recipe for it. Yummo. Kasundi is fantastic. It was sweet and spicy and flavourful. The Indian spices are spectacular together. I plan to make this again in a double batch to make a few bottles of it to give away as tasty home made gifts. While it may sound like an awful lot of chilli, bear in mind that you don’t use much of it so it works out great. A lot of recipes actually use a lot more! I found it very hard to figure out how many serves this makes, because it really depends on how you use it. If you are using this as a relish on a wrap, then you will only use a tbs. 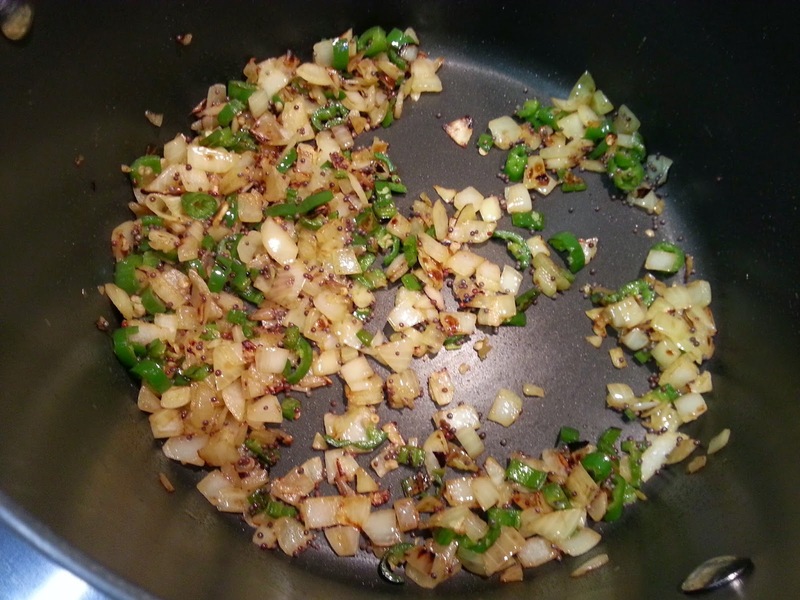 However if it is an ingredient in a curry, then much more will be used. This recipe makes approximately 3 cups, so in the end I decided to calculate this based on a 1 cup amount. This can be fairly easily calculated into individual serves.